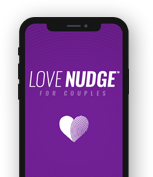 Check out Midday Connection to hear Dr. Chapman talk about The Five Love Languages: Singles Edition. Host Melinda Schmidt will be interviewing Gary on Moody Radio at 12noon (CST). If you’re not near a radio or if you don’t have Moody programming in your area, you can check it out streaming from the web. Missed the program? No problem you can download the podcast.